The French called the Verdon Gorge “the Grand Canyon”, which is about 2 million years old. A blue lake Sainte-Croix which is located at the end of the Gorge is covered with the lavender fields. The Canyon Verdon is rightly considered to be one of the most beautiful canyons in Europe. Canyon is situated next to the French Riviera and that’s why it attracts a lot of tourists. GrandazuR offers you several types of active recreation in Canyon. The admirers of the equestrian sport will have an opportunity to ride a horse. You may select a standard ride or a long trip. You may also opt for a 3 hour bicycle ride. Besides, you will have the absolutely unique opportunity to see the air view of the Verdon if you choose a using ram-air gliding parachute or a Gooney bird. Air excursion will give you the unforgettable moments of the flight above the amenities of Cote d’Azur. Canoeing and kayaking will give you a singular adventure at Sainte-Croix Lake, the Verdon River and other water bodies. Get a feel of canyon majesty from within driving inside the gorge. Natural beauty of Grand Canyon will touch even sophisticated tourists’ feelings. Let yourself enjoy unforgettable experience while being in extreme conditions of original nature! 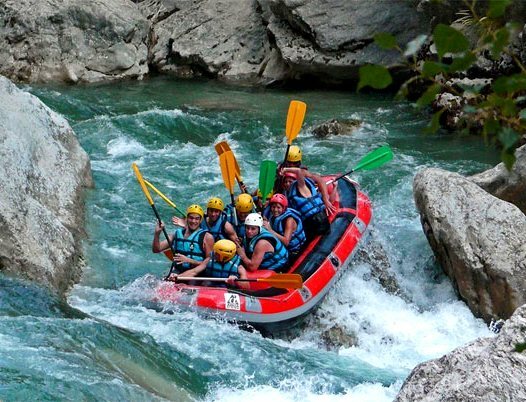 If you are interested in the organization of a trip to the Verdon Gorge. You may also fill out the form mentioning the information of interest. Once we receive your request, we will contact you as soon as possible.